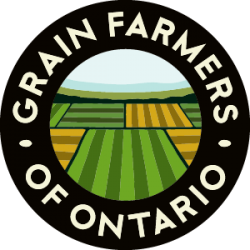 GUELPH, ON (March 20, 2019) – Grain Farmers of Ontario, the province‘s largest commodity organization, representing Ontario‘s 28,000 barley, corn, oat, soybean and wheat farmers, thanks the Government of Canada and the Government of Ontario for the announcement of the revised salvage benefit to corn production insurance. The new salvage benefit is tiered with higher coverage than last year for corn affected by DON. 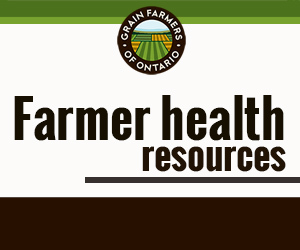 This support will be provided under the Canadian Agriculture Partnership for the 2019 crop year and includes organic corn. Farmers will now receive compensation for corn with DON starting at 3ppm with higher compensation for higher DON levels. Business Risk Management programs are important for farm businesses. When farmers face issues around quality, price and yield in corn due to outside forces like weather, Business Risk Management provides security to grow a business. The salvage benefit is a significant feature of crop insurance, which helps farmer-members recover some costs associated with quality issues like DON. To learn more about the new tiered salvage benefit please visit www.agricorp.com.